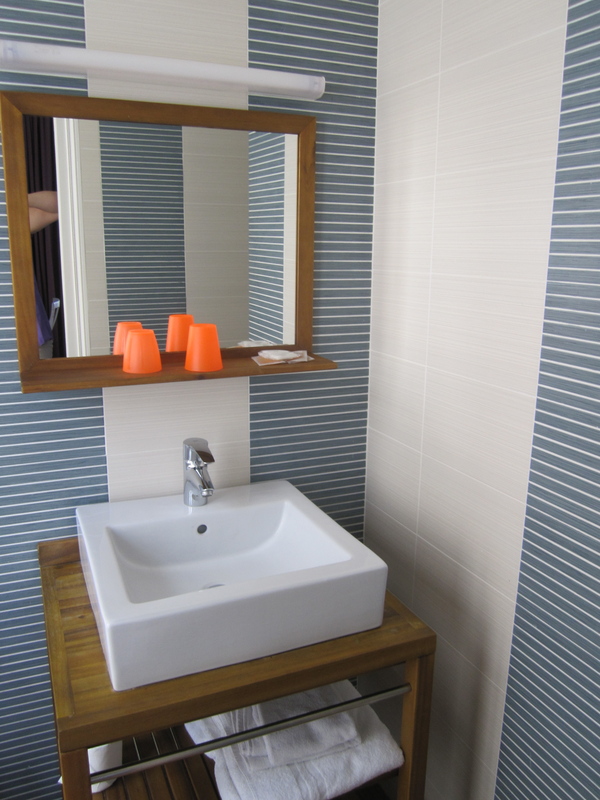 If you are looking for an affordable nice hotel in the very centre of Paris, the Hôtel Jeanne d’Arc is just perfect for you. It is, to be honest, quite unbeatable in Paris. 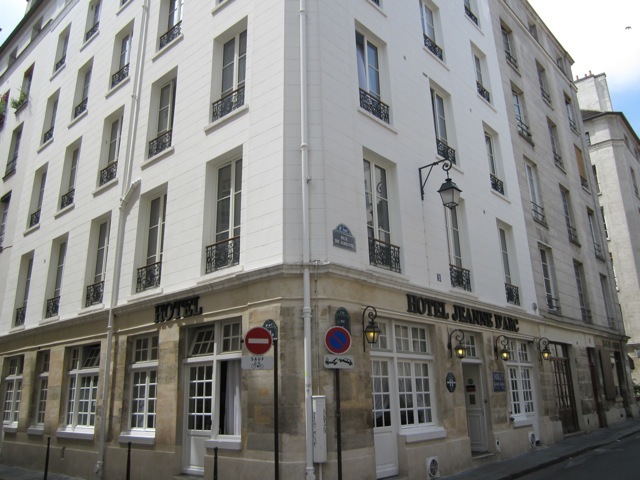 The Jeanne d'Arc is located in an authentic 18th century townhouse near the lovely Place Saint-Catherine in the middle of the Marais and within walking distance of Notre-Dame and Ile Saint-Louis. 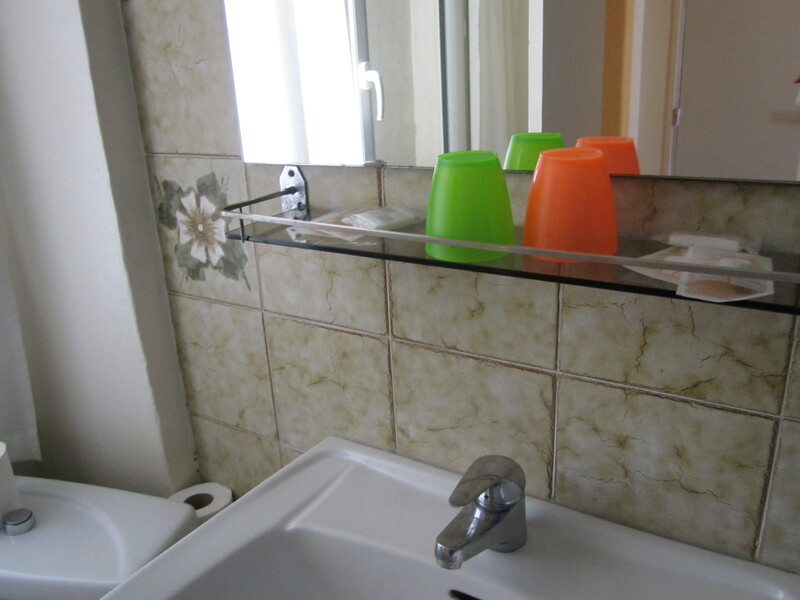 With its 52 rooms, all differently decorated, some of them recently redone, others with the charm of former times (and very basic bathrooms, I have to say), you have the choice: You need a very small but very cheap room for one person? Here you get it for 62 euros. 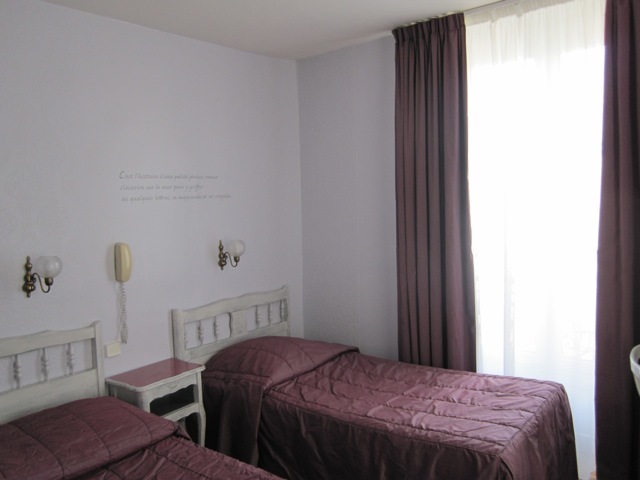 You need a room with four beds for a couple with small kids or some youngsters travelling together? You’ll be chared 160.- Euros. Double rates start at 90.- Euros. Breakfast is 7 Euros but you can also have it in a Café around the corner. I love the Hôtel Jeanne d’Arc but I have to admit not being completely impartial in this case: I spent my wedding night in this hotel. But still, it wasn't by chance at all. I had a good reason to choose this charming and cheap hotel to lodge friends and family. Hotel Jeanne d’Arc is a family business, and you can feel it. Madame Maisonge, an energetic women, who has been running the Hôtel all by herself since the death of her father. 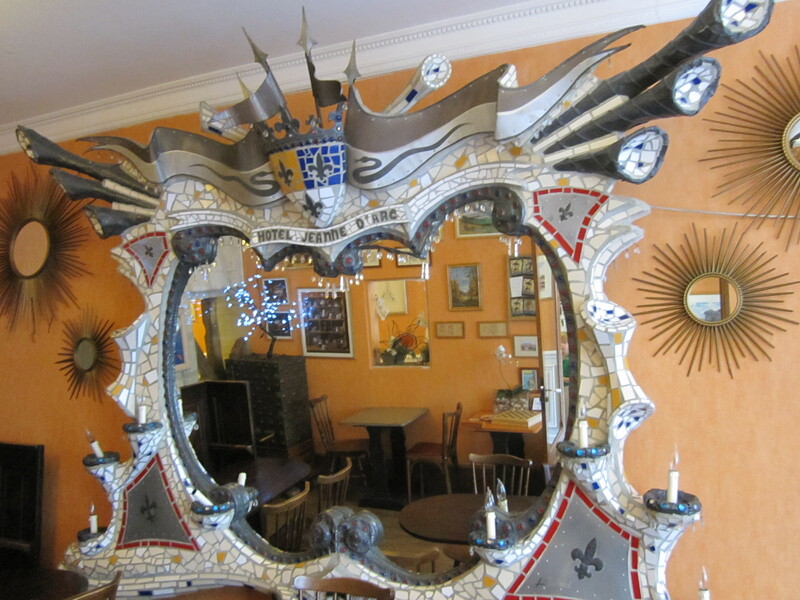 It was him who ordered the eccentric mirror in the breakfast room after seeing and liking a similar one in a restaurant. When it arrived, it was three times bigger. But she would never ever get rid of it.